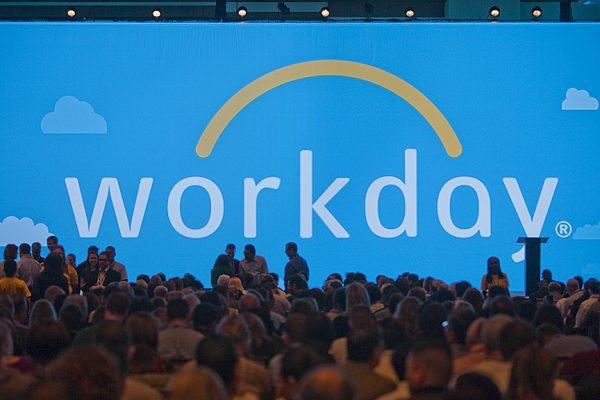 Enterprise cloud applications vendor Workday, fresh from its recent IPO, held its annual convention this week. With many of its 350 customers and 200 prospects in Las Vegas for the event, it gave a good feel for the profile of the typical Workday customer. Here are a few impressions from the proceedings (disclosure: Workday, a client, paid my travel costs). These companies are fast movers. Workday currently has 3.3 million workers on its system across all its live customers. Interestingly, there’s a high level of turnover and change in that figure: 1.2 million were recruited in just the past year, and 1.4 million of them have had some kind of change in their position or package. Look over the customer list and you’ll see why: there are many fast-growing companies, and two of the biggest customers, Flextronics and Chiquita Brands, skew the figures with big migrant labor or seasonal workforces. Evidently, one of the factors in choosing Workday is having higher-than-average rates of change, and thus a need for a more flexible, scalable system. Many are disruptive innovators. Newly announced customer TripAdvisor, which late last year became the first listed company to go live on Workday Financials, inevitably gets called on frequently as a reference by established companies considering a move to Workday. Few of those callers are familiar with TripAdvisor’s size and complexity: spun out of Expedia in an IPO last December, it is now up to three-quarters of a billion dollars in annual revenues, with 1400 employees across 35 separate businesses, many of them overseas. This technology-driven, Web-based, social-media publishing business literally could not have existed just a few years ago, yet today already it’s a multi-million-dollar global brand. To maintain its growth and agility, it relies on a raft of cloud applications; as well as Workday, it runs Salesforce.com, Taleo, Zuora and DoubleClick DART. In fact the only part of its IT estate on its own infrastructure is the web farm that runs its online properties and the big data analytics that help it maximize returns. They work with live data. Helping customers make sense of up-to-date business data is a theme that keeps cropping up in my work with vendors lately. Workday has been at the forefront of building analytics into the fabric of its applications, enabling users to not only track metrics and trends but also drill down directly into the underlying business records. The next step is to connect those insights into other applications and datasets in the business. 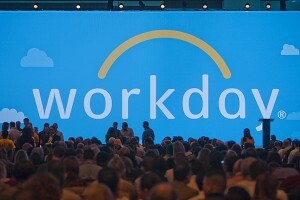 This week Workday announced custom objects and fields to enthusiastic applause from its customers, while the unveiling of big data analytics capabilities drew more muted acclaim. Both will help customers bring ever-increasing volumes of external data into the realm of Workday analytics to help them make better informed and more timely business decisions. They expect continuous improvement. Having opted for the speed, agility and on-demand responsiveness of a cloud platform, customers rely on their chosen vendor maintaining the same pace going forward. One of the most remarkable things about watching a cloud vendor like Workday evolve is the extent of innovation that happens in the underlying infrastructure. These are not static structures. New components are constantly being introduced that advance performance, scalability and functionality — not just the three-times-a-year functional updates but architectural advances too. This week, Workday talked about some significant changes it has made this year, including a decision to move much of its core data store from mySQL to the more efficient, highly distributed Basho Riak NoSQL database technology. David Clarke, VP technology services, explained that the move will allow Workday “to store many petabytes of data across multiple data centres,” adding to fault tolerance as well as scale. Such a move would simply not make sense in a conventional single-tenant enterprise architecture and once again (as I gushed on video to Dennis Howlett) underlines why multi-tenancy allows cloud vendors to streak ahead of their on-premise competitors in the economy of operation, scale and performance they can make available to their customers.